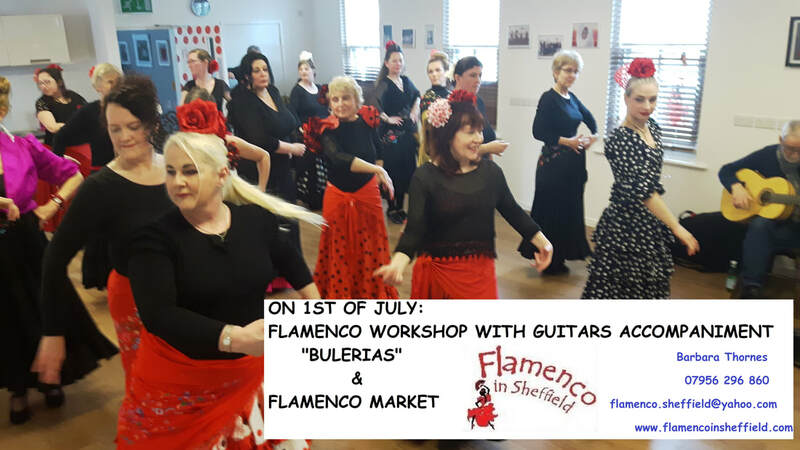 Dance School "Flamenco in Sheffield"
I will introduce you to the world of flamenco, you will learn “Alegrias from Cadiz”, its timings, movements and expression of the whole body. We will work together in a choreography to dance a Alegrias from Cadiz. Alegrías originated in Cádiz. Alegrías is the best-known form in a family of lively, vibrant songs known as Cantiñas. The word Alegrías literally means "joys! 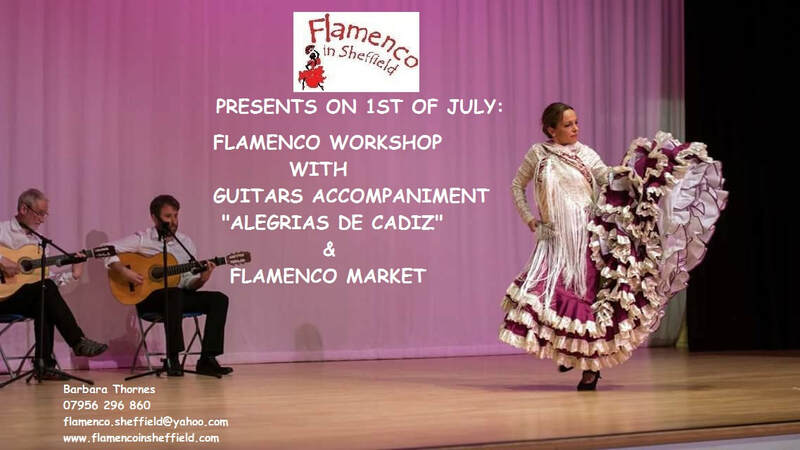 Enjoy the Spanish flamenco experience in Sheffield!!!! Get ready to explore the Flamenco Roots and it’s amazing art that will be accompanied of the guitars, feel the music, body expression, clapping technique. A great opportunity to work with musician as well. You can feel the wonder of the music of the guitarist a unique and exciting experience in Sheffield! I will introduce you to the world of flamenco, you will learn “Bulerias”, its timings, movements and expression of the whole body. We will work together in a choreography to dance a Bulerias. “Bulería” is the most characteristic flamenco style of Jerez de la Frontera. This is one of the most complex dancing and guitar styles: bustling, happy and cheerful. It is characterised by a fast rhythm and a redoubled beat. It is more suitable than other flamenco styles to be sung accompanied by flamenco clapping, “jaleo” and other shouts and expresive voices. “Bulerías” constitute an usually dance to finish all flamencos parties. Please don't miss this opportunity to learn flamenco with live Music. There are LIMITED SPACES, please make sure you book now and don't miss out! *Recommended wear hard-soled shoes, comfortable & loose clothing wide skirt if possible for the ladies. *Please bring water and a smile! ***Also Flamenco Market: You can find all that you need of Flamenco stuff, Hight quality flamenco skirts (all colors, with spots, and stiles), gorgeous flamenco dresses, semiprofessionals & professionals flamenco shoes handmade (full leather and with soled fitted nails), professional castanets, shawls & head-pieces. Everything you need for your class or performance, you will can find it this day! 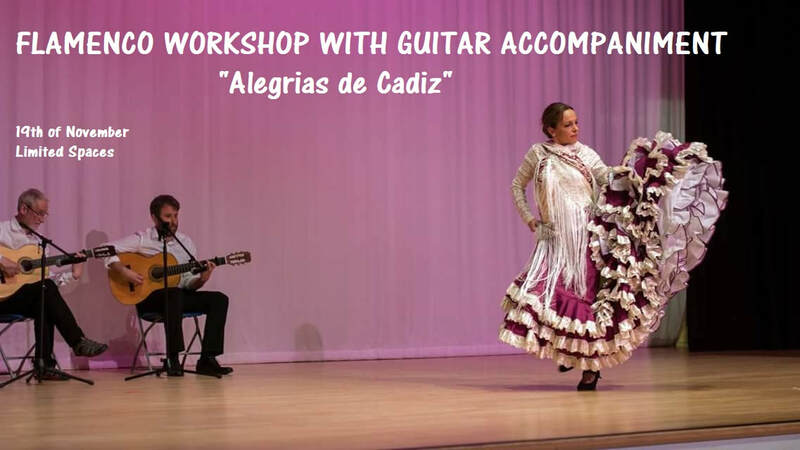 Flamenco Workshops with Guitar accompaniment! Get ready to explore the Flamenco Roots and it’s amazing art that will be accompanied of the guitar, feel the music, body expression, Flamenco fan technique and language, clapping technique. A great opportunity to work with musician as well. You can feel the wonder of the music of the guitarist a unique and exciting experience in Sheffield! Please don't miss this opportunity to learn flamenco with live Music. 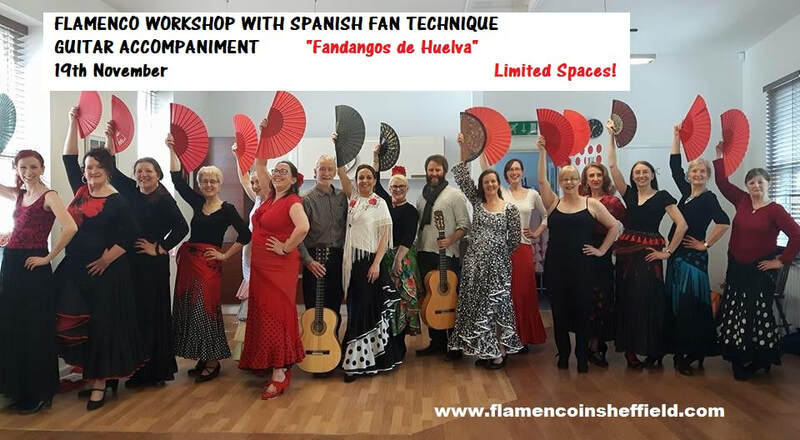 I will introduce you to the world of flamenco dancing with Spanish Fan Technique, you will learn “Fandango from Huelva”, its timings, movements and expression of the whole body. We will work together in a choreography to dance a fandango of Huelva. The fandango is a flamenco dance, there are many groups of fandangos. The fandangos of Huelva are very popular in the flamenco repertory. The fandango belongs to the folkloric branch of the flamenco originates from the Andalusian region and is one of the most studied art in flamenco classes, the character is cheerful, elegant and graceful. *Beginners Level, suitable for all levels. *Please bring a Spanish Fan, water and a smile! Please don’t miss out. There are LIMITED SPACES in both workshops, please make sure you book now and don't miss out!